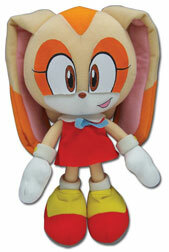 This page will have a focus on 2011 plushes, likely from GE Entertainment and Jazwares. 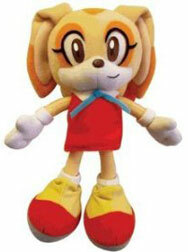 Vintage plushes may still appear, but they'll be noted by their entry. 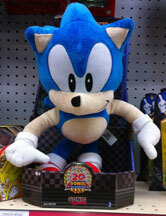 With plushes showing up at offline retail such as FYE stores and online at more places like Amazon & Target, (and Toys R US too) plush availability seems to be on the rise in 2011. 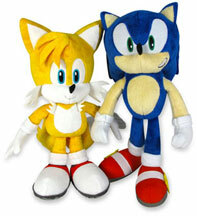 Jazwares made two larger plushes, a Sonic & Tails (modern style) for the 20th Anniversary. These guys are 12 inches each, so about double the size of their previous efforts. It seems that given some revision & the larger sizing, they're able to make the characters more on-model. 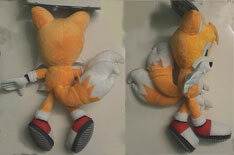 The details look good, with shoe-soles, buckles, and the little bits of fur at the edge of Tails' chest. 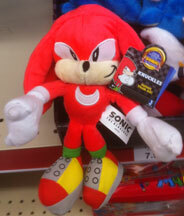 They are $14.99 each at Toys R Us & come on a cardboard hang-tag that's pierced through their ears. 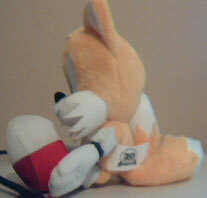 Because of this odd choice, always inspect the ears for rips or pulls before you buy. 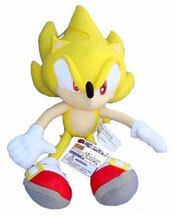 Though improved from the smalls, they still suffer from a few of Jazwares chronic plush problems. 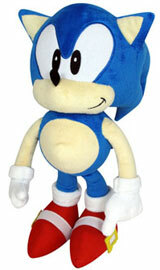 Look at how fat Sonic's arms are, & the body shape isn't even the same as their stock photo. 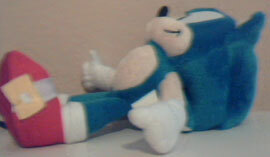 His shoes are also small/mis-shapen. 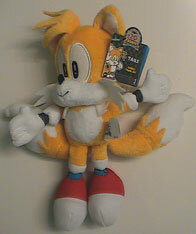 Tails has giant fat ankles for no real reason, and the face is far less cute than Classic tails. 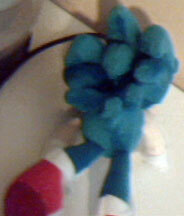 His tails are also flat, not due to under-stuffing, but construction. 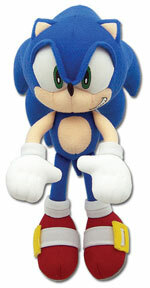 Sonic's expression is still not the best. 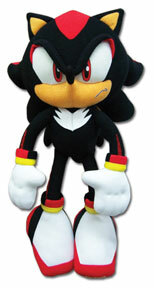 They are made of very soft, fuzzy fabric, with quality stuffing. The details are embroidered. Effort WAS put into these, just not into the patterns, it seems. 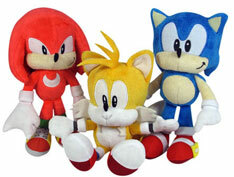 These aren't the most on-model plushes you can buy in the USA, at this time. If you want to drop $30 bucks, get them. But it might be better spent on some of the GE stuff on this page instead. 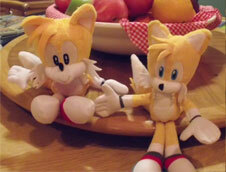 The Tails is better/model than the Sonic althoughe he is fat, at least the face isn't as 'off' somehow. Shelf photos by Taaron. 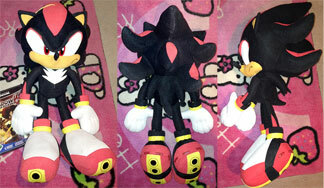 This is another great, big plush! But this one's from the 1990s. See the battery by his foot? 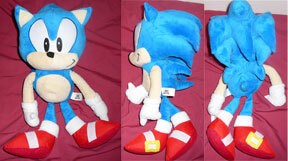 That's just how big this quality plush is (about 23 inches) As you can see with the texture here, quality fuzzy fabric was used. He's also heavy thanks to good quality fill. 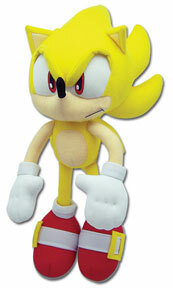 He's pretty proportional for a doll of this era, with a pleasent enough expression. 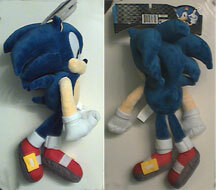 He's missing the tags, but was made in China (like most plush of the era) A classic doll of this size really stands out in a plush collection!